In the wake of World War I, the U.S. economy boomed, and bootleggers amassed fortunes during the Prohibition of the raucous Roaring Twenties. The Great Gatsby, F. Scott Fitzgerald’s iconic portrayal of the Jazz Age (as it was also called), encapsulates the optimism and prosperity of this technologically advancing generation. Nick Carraway, a Yale graduate and WWI veteran looking to escape the Midwest, settles on a career selling bonds in New York. He moves to West Egg, Long Island, as the summer of 1922 begins. Next to his modest rented house looms the ostentatious mansion of a mysterious man, and Nick is instantly interested in the fellow, whom he learns is named Gatsby. Daisy Buchanan, Nick’s cousin, lives with her husband Tom in nearby East Egg, and the two welcome Nick into their social circle. They introduce Nick to a pro golfer, Jordan Baker, who is single and attractive, despite a somewhat shady history of accusations of cheating. Tom also introduces Nick to Myrtle Wilson, his mistress. Myrtle lives with her husband, George, above their garage in a rundown neighborhood in Long Island, surrounded by dust heaps and despair. Tom is callously abusive toward Myrtle, but he offers her things she can only imagine in her life with George. But Tom and Daisy aren’t the only rich and eccentric people Nick meets. He receives an unexpected invitation from his new neighbor to attend one of his famously lavish parties, and Nick immediately accepts. The purpose of the meeting becomes clear when Gatsby politely asks Nick if he will act as a go-between for Gatsby and Daisy. Gatsby explains that the two had been in love before he was deployed overseas with the Army. In his absence, Daisy married Tom, but Gatsby firmly believes that she still harbors feelings for him. The fortune that he has amassed, the ostentation that overshadows his every action, is an effort to woo her and win her back. Nick arranges a meeting between the two, and they seem to hit it off. But Tom, ever the ladies’ man, becomes ragingly jealous and threatens Gatsby. Gatsby implores Daisy to leave Tom, but she hesitates. Gatsby realizes that no matter how much money he accumulates or how much he shows off, he will never be enough for Daisy; he will always be lowly James Gatz from North Dakota who made his fortune as a bootlegger. There is a dramatic climax and compelling denouement, but you can read Wikipedia for that. 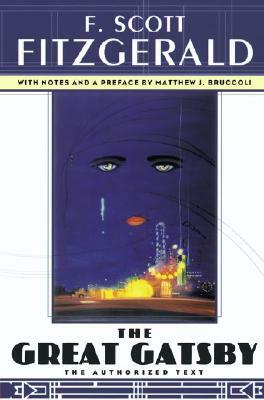 The admiration, pursuit, and disbursal of money are central themes of The Great Gatsby. Nick moves to New York for it. Daisy has it and doesn’t seem to notice. Myrtle approaches it with wide-eyed disbelief. Gatsby is sure that it will secure his place in high society. Gatsby is so focused on his goal of getting Daisy—and on acquiring the money that he believes is necessary—that he loses his sense of self, if he had one to begin with. Without Daisy, he is nothing. The green light at the end of Daisy dock, far across the bay yet so near, tantalizes Gatsby more than wealth or power ever did. I’m sure the color is symbolic (greenbacks; envy; moving forward in the world), which is part of the reason why The Great Gatsby is so popular in schools. Its clear themes and symbols, along with its captivating portrayal of such a romantic and heedless age, have charmed audiences for decades and will continue to do so for the foreseeable future.